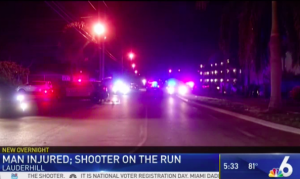 Lauderhill Man Critically Injured in Lauderhill Apartment Shooting; Security Failure? Could this senseless Lauderhill apartment shooting have been prevented and are justice and compensation available to the victim? Recent crime reports from Spotcrime.com reveal a number of burglaries and violent crimes in the surrounding area. What additional security measures, such as gated-entry, bright lighting, fencing, surveillance cameras, and security patrols, were implemented by the apartment complex owner to deter crime and protect residents following reports of local criminal activity?